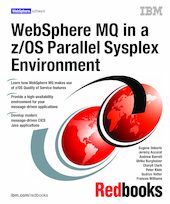 This IBM Redbooks publication looks at the latest enhancements to WebSphere MQ for z/OS and shows how you can make use of the z/OS Parallel Sysplex to improve throughput and availability of your message-driven applications. It helps you configure and customize your system to use shared queues in a high-availability environment and to migrate from earlier releases. In the second part of the book, we introduce advanced features of WebSphere MQ for z/OS V5.3, namely the queue-sharing and clustering technologies. Finally, we look at the operational impact of a queue-sharing environment and discuss failure and recovery scenarios.